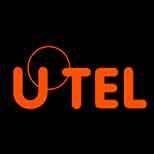 Ibys Technologies is pleased to present the British company UTEL, leaders in providing the market with remote test systems for fibre and copper. In its portfolio highlights the Fast Light PON OTDR, with advanced detection capabilities for reflections, rack-mounted and identifies faults in the PON network without reflectors. Can be used on PONs with up 1x 128 split ratio. Finds faults to within 1 meter. Links to OLT alarm system. IP controlled can be operated from anywhere, by anyone. No additional products such as reflectors needed. Can be used for Installation sign off.